Can you count cards online – Is It Possible To Beat The System? Counting cards is basically the act of predicting which cards the dealer will deal, by knowing what is left in the pack. For example, you know that there have been two aces dealt, so, therefore, there must be two still coming up. To be fair, that is a very basic example as many blackjack games are played using multiple packs, which is exactly why counting cards is usually done by those who have a touch of maths genius to them. So what is the difference between counting cards in a brick and mortar casino and counting them online you may ask? In a brick and mortar casino, the cards are shuffled by a human dealer, which not only leaves room for error but also means that fewer cards may be shuffled, as they are physically present. In an online casino, the cards are shuffled after each turn, using a random number generator, or RNG, much like is used in the pokies NZ has to offer, along with the rest of the world. This means that the cards are in an eternal state of being shuffled, which makes it much harder to predict. Also, as the cards are not physical and being shuffled essentially by a computer program, there is no space for human error. So How Do You Win Then? Well, that’s a bit tricky to answer. If there were a fool proof way of winning at online blackjack, many people in the world would happily sit on their couches or at their computers and simply rake in thousands of dollars without having to go to work. The secret to making online blackjack profitable lies in the bonuses offered by the various casinos. Many online casinos will give away a starting bonus whereby you are able to play your first few games for free. This means that you get to make pure profit should you win, without having to invest any of your own money. Of course, there are always terms and conditions that apply, so be sure to read the fine print carefully. The other option is to look into a live blackjack game. Although played online, so you are able to take part from your living room, these games do involve real players and dealers. Live games are broadcast from real brick and mortar casinos, with real live dealers and work in the same way as taking part in a table game at the actual casino. 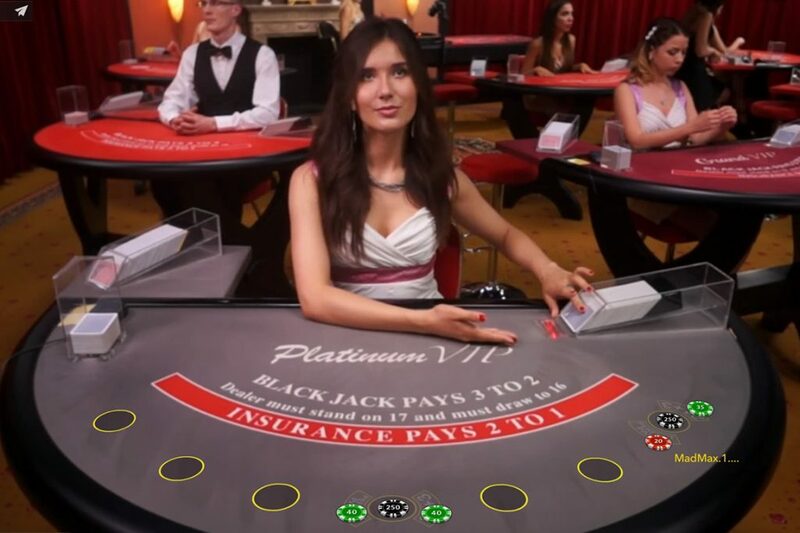 You will need to be pretty good at the game, however, so be sure to practice long and hard at the normal version of online blackjack before you even attempt a live game. Counting cards in a live game works in the same way as it would at a table game. The dealer shuffles the cards as they are physically present, and usually only after each game. Many online games use a shoe as well, instead of an automatic shuffler. This has two effects. The first is that it is easier to predict than online cards that are in a constant state of shuffle, and the second is that the penetration into the deck is not very deep. All of this adds up to your skill being the deciding factor. If you are a maths genius, you may get somewhere. Otherwise, it may just be a pretty fruitless exercise.